I had a meeting yesterday with a Vietnam era veteran who has connections at the VA and with some veteran’s organizations. Looks like I have an “in” at the VA so when the books are ready to go out, I will definitely be able to get them inside where the veterans will be able to read them. This is a good development since I was fully prepared to set up camp outside the various VA clinics and hospitals and hand out copies to vets going in and out. I have a meeting on Friday with a veteran’s group at a manufacturing plant. It’s always good to have the opportunity to get the word out about this project. I was exercising this morning and had a bit of insight. 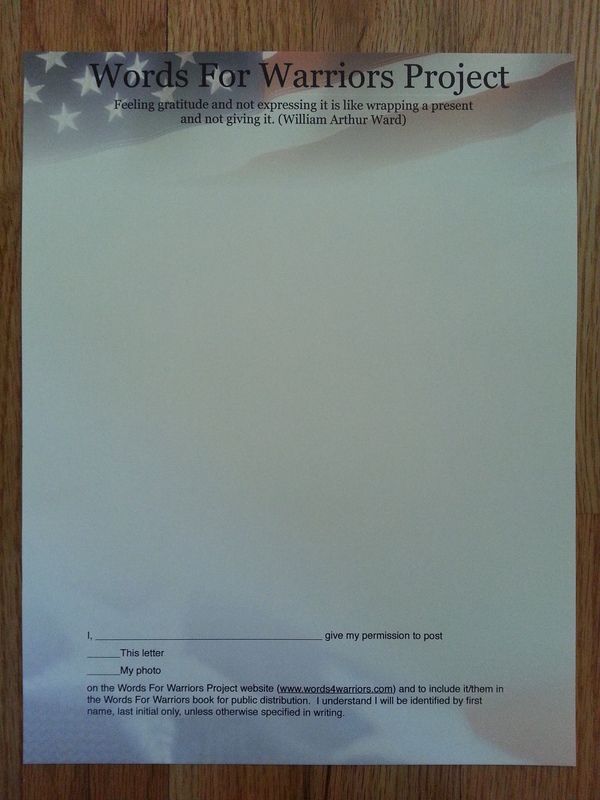 I think there are people I’ve solicited for participation in the Words for Warriors Project who feel intimidated by the prospect of writing an open letter. Since I love to write and it’s a very comfortable way for me to express myself (I’d rather write than talk most of the time, which is why my friends all know to text me or email me rather than call me on the phone) that thought hadn’t occurred to me before now. I know lots of people who love to talk but think of putting pen to paper as torture. To that end, I made up some sheets so that people can dictate what they’d like to say and I can just write it down for them. I will use this form to write down notes from people who’d rather talk and not write. I can tell you right now, this project WILL be successful and if I have to go outside my comfort zone, then that’s exactly what I’ll do! Bless all of you who have so kindly made submissions. 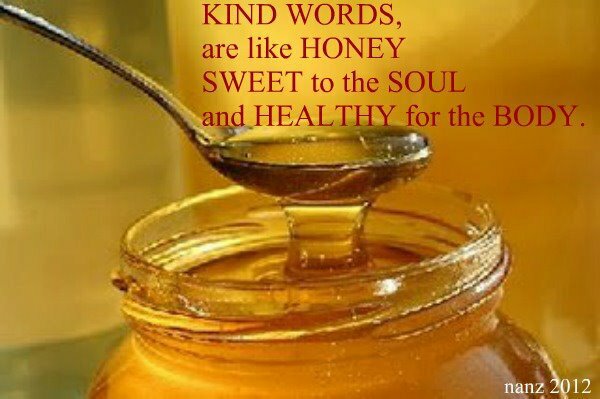 Remember you never know how much a kind word can mean to someone.